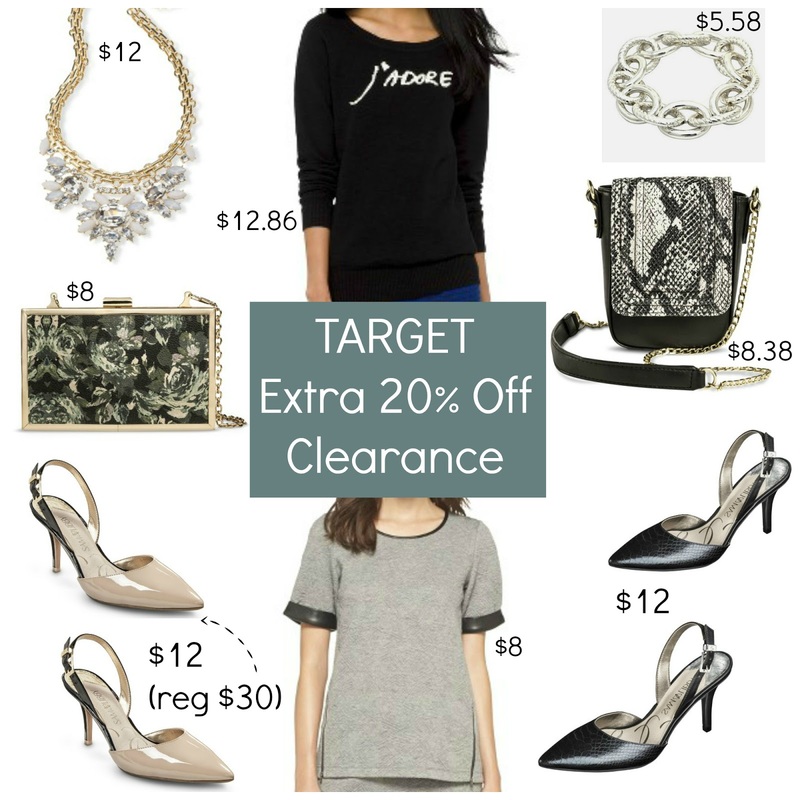 Tracy's Notebook of Style: Target Last Day for Extra 20% off Clearance + Tom's! 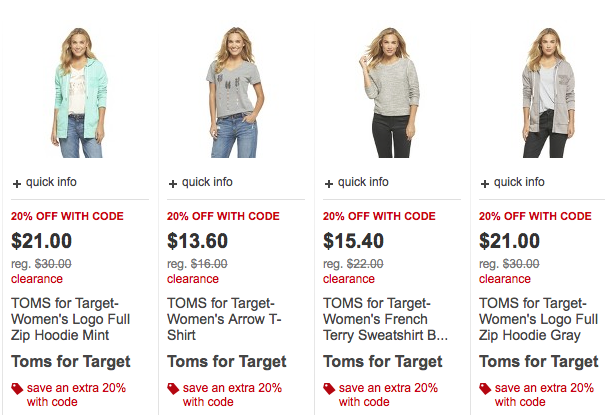 Target Last Day for Extra 20% off Clearance + Tom's! Today is the last day to take advantage of an extra 20% savings at Target (in store using the Cartwheel coupon). Not only are their new markdowns, but you are scoring an extra discount, plus free shipping! Some of the best deals are from Sam & Libby and Target also have some great jewelry pieces. These chain link bracelets are a more affordable version of this style after first seeing it on The Fashion Palate's page. A few of these items are currently in my cart and everything here is under $13 after the discount. *Remember you must add your promo code at checkout - the discount will not automatically apply. Love Target!! I can never get out of there under $100! !